Oh, Cafe Beaujolais, how je t’aime! I love French food, language, culture and even got proposed to in Paris. Who’s sending their future kid to a French immersion school? Right here. Along with being an Indophile, I’m also a Francophile. 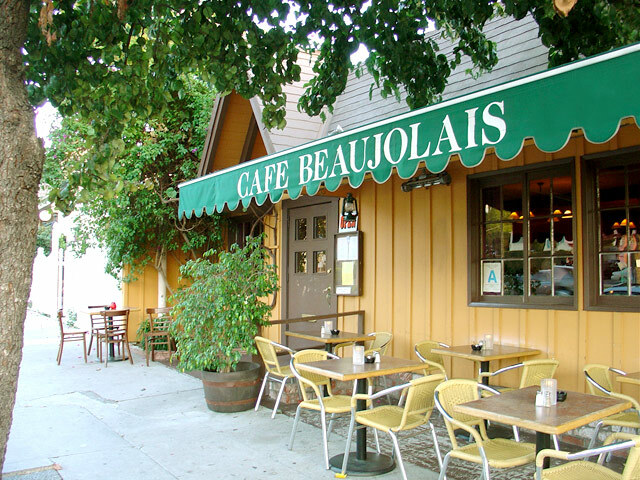 Cafe Beaujolais makes me feel like I’ve left Eagle Rock and arrived at a quaint Seine-side bistro. This is especially true at sunset when the muted rays filter through the windows while Leo Marjane’s lush vocals serenade you in the background. Outdoor dining on Colorado Blvd. Totally unassuming from the outside, it’s all France on the inside from the crooked frames, beamed ceilings, wood chairs, antique chandeliers and candlelit tables. Then there are the servers. All French nationals armed with innate charm, fantastic service and delicious accents. Bonsoir! 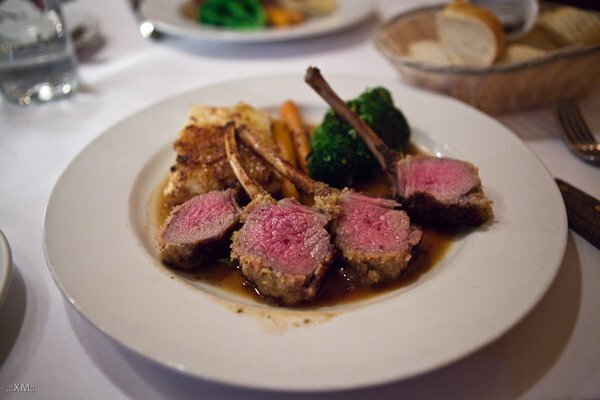 Everything I’ve ever eaten here has been superb from the classic French onion soup, the pave de bœuf (filet mignon with port sauce), porc aux pommes (oven baked pork), Wednesday weekly chicken milanese and the rack of lamb. All excellent and with healthy doses of heavy cream, butter and cheese. It’s a proven fact–a well rounded diet includes heavy cream. Cafe Beaujolais also has an excellent French wine list with a generous selection of wines by the glass. Of particular note was the bottle of Alsace Pinot Gris we demolished yesterday. It was the perfect summer wine to pair with our balmy date night. 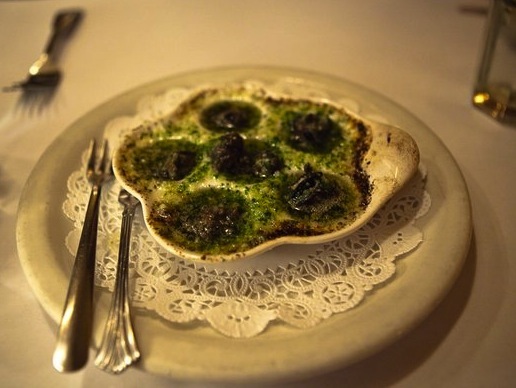 I always arrive armed with an appetite, prepared for a 3 hour feast for the senses and the several dozen phrases I remember from two years of high school French. I also look forward to the honorific term mademoiselle I’ll respond to all night. Call me crazy, but that just sounds better than being called ma’am. Save room for the creme brulee–it’s excellent. 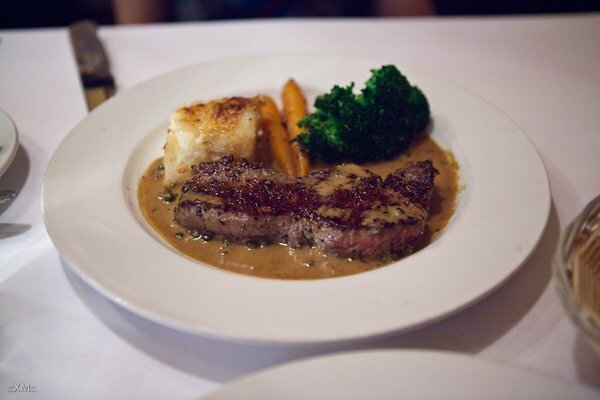 Come for the food, linger for the service. C’est magnifique!